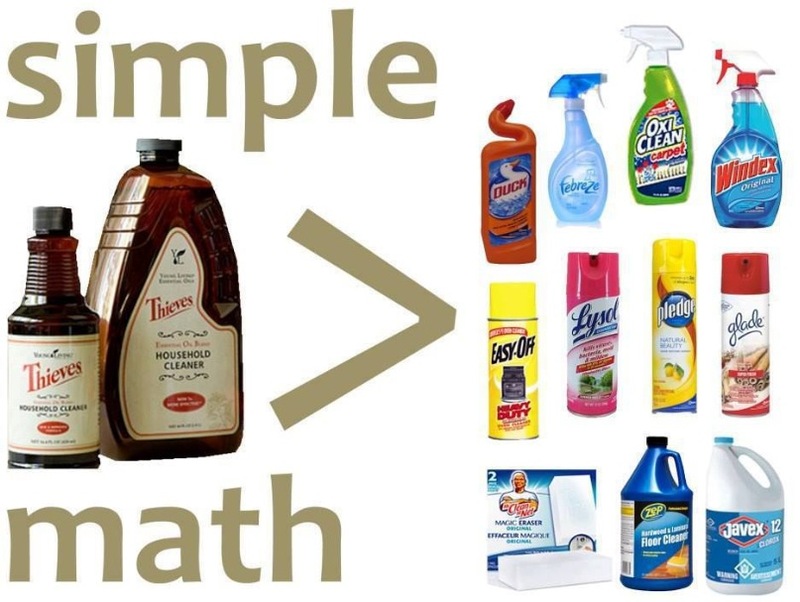 The BEST most ECONOMICAL cleaner EVER! 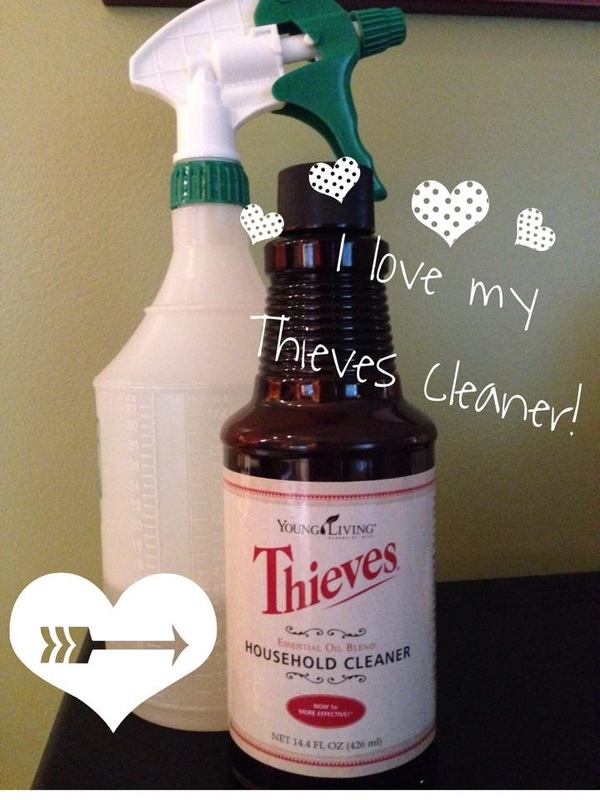 My friend Catherine and I want to share our love for Thieves Cleaner! 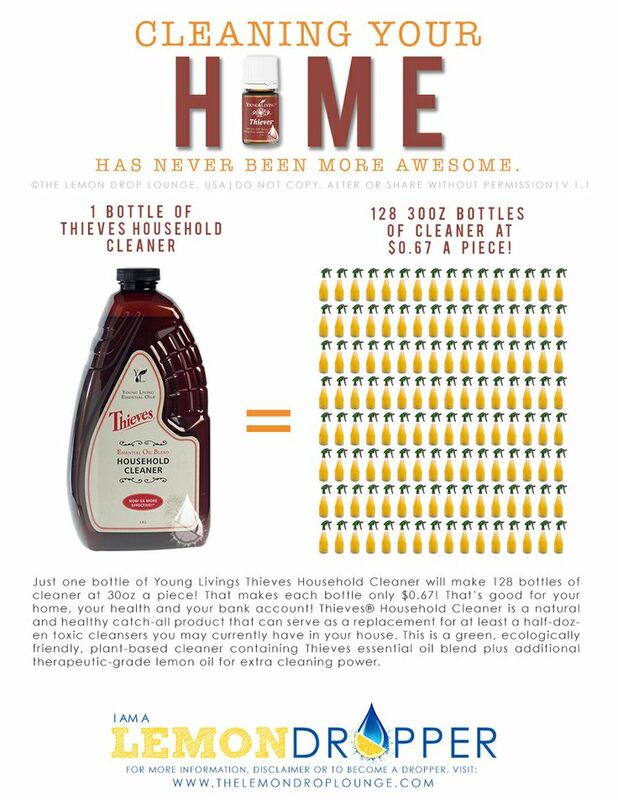 Thieves cleaner is a green, ecologically friendly, plant-based cleaner containing Thieves and lemon Young Living quality essential oils. Safe for use around children and pets. 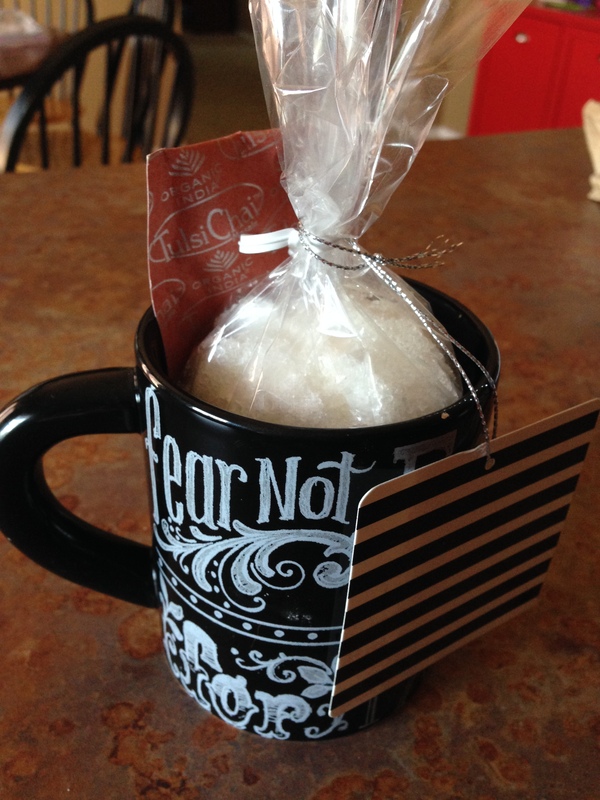 It is perfect for cleaning practically everything in your house. 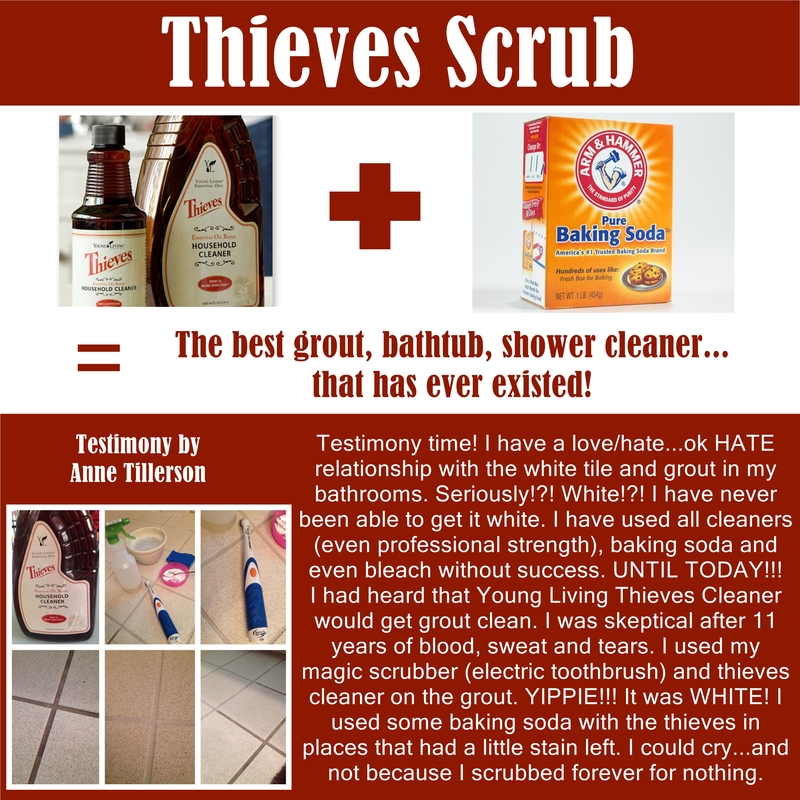 We have both thrown out all other cleaners and use Thieves for everything. EVERYTHING! From fruit to our toilets… You simply buy empty spray bottles from the dollar store or home improvement store and follow the chart on the bottle for diluting. Add water! I have a spray bottle in my kitchen and each bathroom. We will also share other natural ways to replace things like room spray, laundry detergent, dishwasher detergent, hand sanitizer, throat spray, goo gone, etc. Do you know the story behind Thieves? The oils or herbs were used by thieves who robbed the dead and dying during the plague of the 15th century and who never contracted the disease. 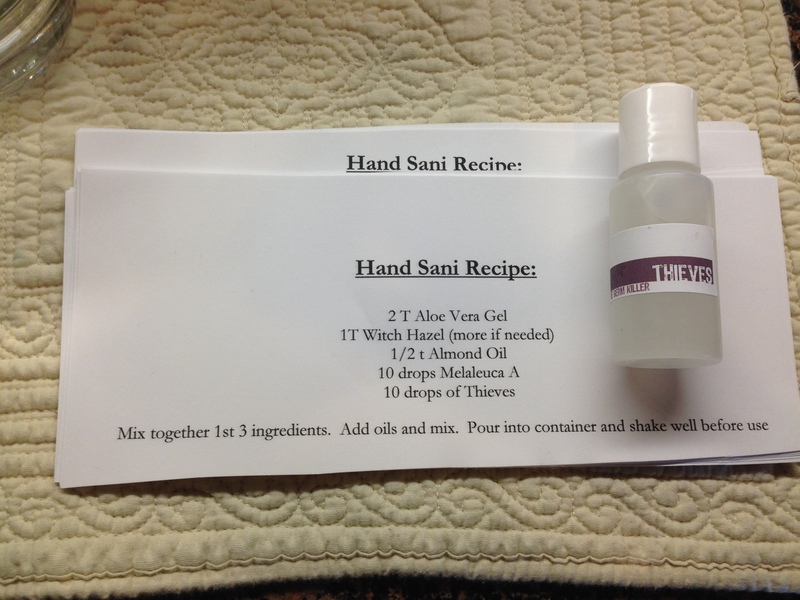 The Young Living Thieves cleaner is patterned after this formula that offered protection during a time when 50 percent of Europe perished from the plague. 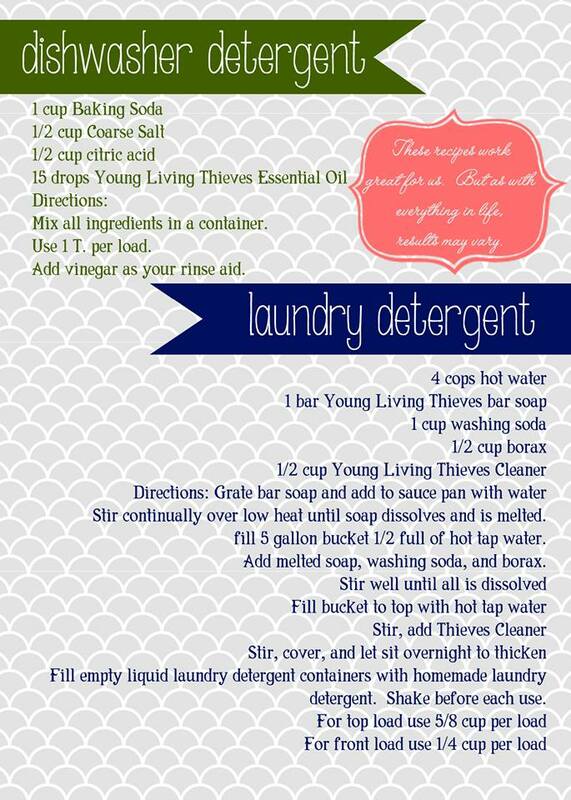 Thieves essential oil blend was found to have a 99.6% kill rate against airborne germs! Here are a couple testimonies. So you can see we are not alone! 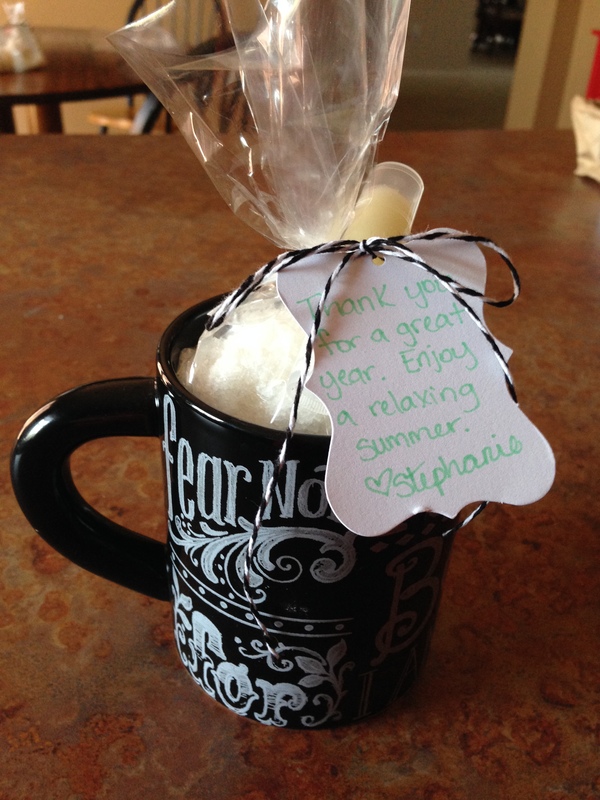 “The Thieves Household cleaner has been absolutely wonderful. I’ve had it since March and it’s not even 1/2 gone. I literally use it for EVERYTHING, from cleaning the kitchen floors to washing produce! I love that it’s all natural, chemical free and won’t be harmful to my family. Not to mention it smells amazing!” -Julia T.
In the past we have spent a lot of money on having our carpets professionally cleaned. It is a hassle, they use chemicals and we can’t walk on our carpets for a day. Ain’t nobody got time for that! My hubby found a great deal on a Hoover carpet cleaner and decided it was worth it to try so that we could clean our carpets ourselves. 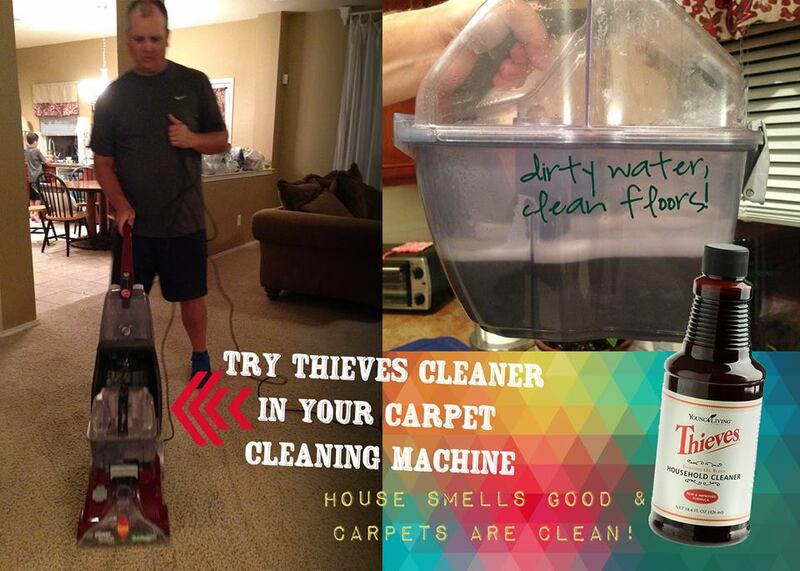 We put thieves cleaner in the top, where it says to put solution and we were amazed at how well our carpets came clean and how good the house smells after. NO CHEMICALS! Another great thing about this cleaner is that it affordable!!! It is so concentrated, you only use one capful per spray bottle. So, it lasts for-ev-er!!! 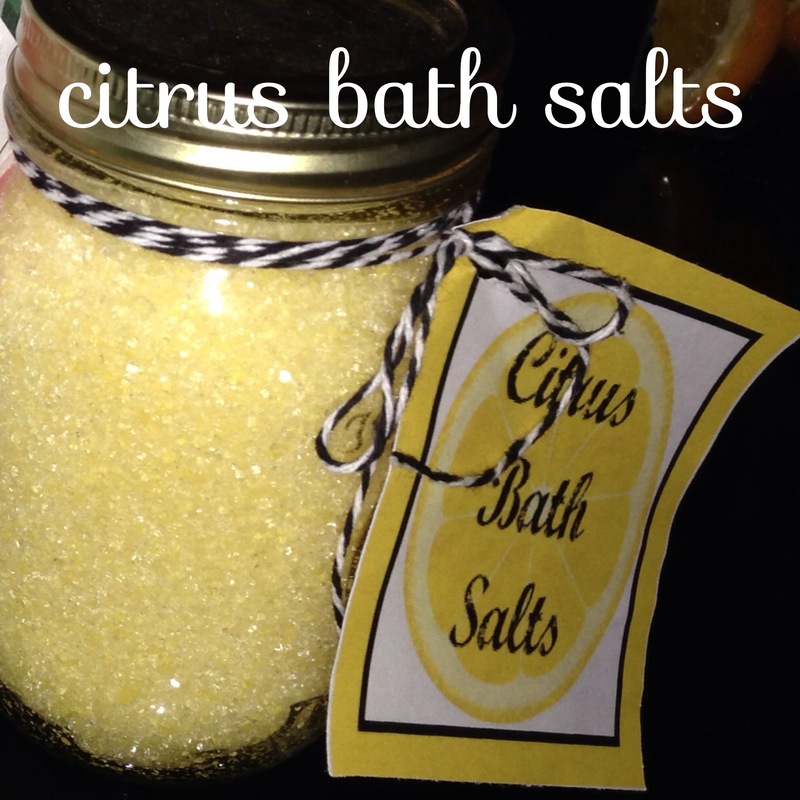 Did I mention it was safe for to use with children and pets?!?! My daughter threw up all over my car and herself and as soon as I pulled in the driveway, I ran inside and grabbed my thieves spray bottle. 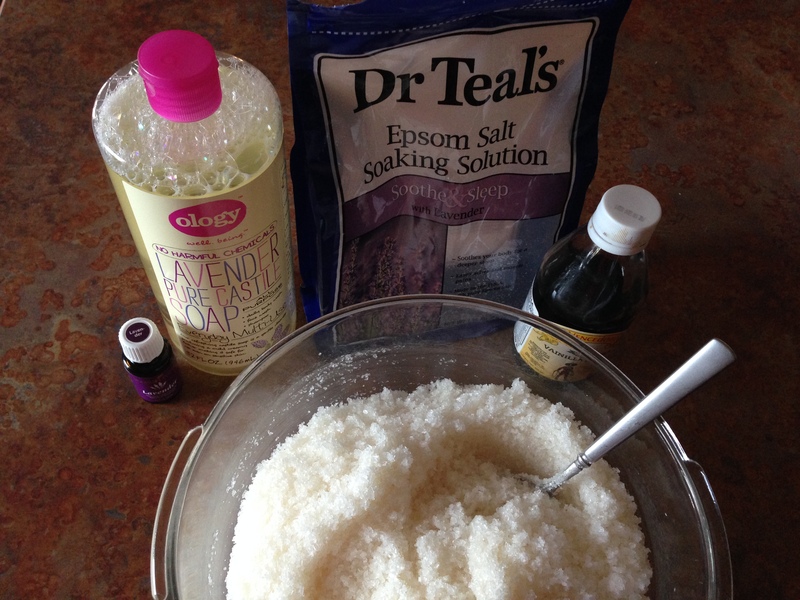 I sprayed it all over her, her chair, the car, the carpet…every nook and cranny! It got rid of the smell and any sign that anyone has ever thrown up in it. This is huge, because I probably would have had to get a new car if not (wink)! Since it is safe for Children and Pets…I love to mop my kitchen floor with it. I don’t have to worry about the dog licking it or the kids walking around barefoot on it. 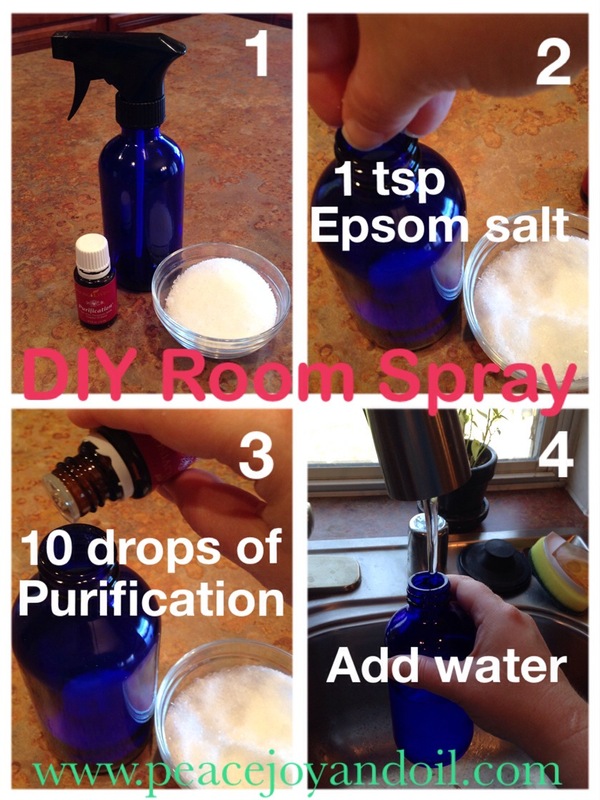 Natural Room Spray, say goodbye to Febreeze and Lysol that are laden with chemicals that are not safe for us! 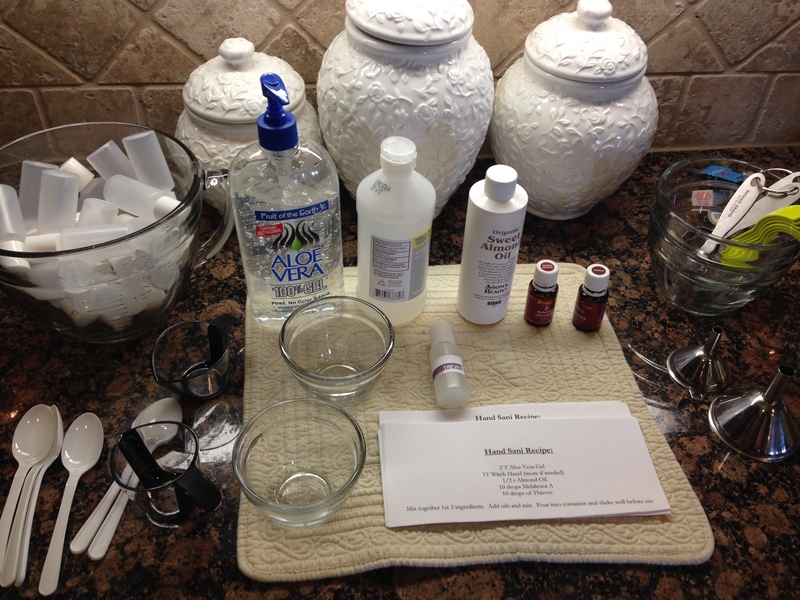 Purification will kill odors, not just mask them. It also kills fungus and mold!!! 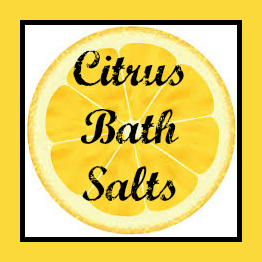 You can also apply to stains or as presoak to get rid of bad smells or urine. Follow our Clean Your Home pinterest board here.